Beautiful face indicates a well groomed and an impressive personality. While this could be a dream scenario, all your efforts to remain fit and attractive may not be enough to ensure your facial structure is intact and impressive. Aging is one of the major factors that can impact your looks and there could be few other factors like stress, diet and exposure to external environment that will induce negative impact on your face. Ideally your facial beauty and attractiveness depends on the cheekbones and chin structure, a lot is dependent on how proportionately they are present. From the perspective of cosmetic impression, many of the experts suggest a ‘V’ shaped appearance of the face covering the cheekbones and chin. This would mean that cheeks are supposed to be more prominent and the chin may be confined to contribute to the ideal shape. With time and aging as a contributing factor, men and women may attain a ‘reverse V’ shape with more prominent chin and less defined cheeks because of the loss of facial volume in the cheeks. If you are presented with such a situation, it is important to know that it is not a disorder and is just an abnormality that can be easily corrected. This condition can be effectively treated with Liquid Facelift procedures at our Manchester Clinic. The best thing about this procedure is that it doesn’t involve any surgical method apart from being instantaneous in its outcome. The significance of Liquid Facelift procedures is not just limited to facial beauty enhancement, but it goes much beyond to redefine the way cosmetology is perceived to be. These procedures indicate the prominence of non surgical and non invasive methods for attaining ideal shape and considerably impressive body structure. The important aspect of such a development is that the external changes and outcomes are not permanent and can be altered or even reversed. There is a sense of growing confidence among cosmetic enthusiasts because non surgical procedures increase the prospects of successful outcomes and sustainable results. The positive scenario of cosmetic reconstruction of facial impression with Liquid Facelift at our Manchester Clinic indicates the priceless value of achieving fresh and youthful face, adding to much needed confidence and renewed look on your face. Facelift is an option to reverse the negative impact on the personality and revive the much desirable positive and impressive looks. 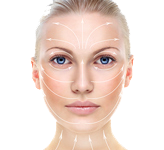 A pleasant personality is always guided by a charming face and you can rely upon the Liquid Facelift procedures to attain and retain that ideal structure. With time and growing conceptions, the demands and expectations from cosmetic treatments are on the rise and one of the challenges in this context is to offer solutions that are exclusively meant for specific abnormalities. Accordingly the treatment procedures and facilities are being modified and our Manchester Clinic for Cosmetic Care is a fine example for providing solutions that are specific, targeted and exclusive. When you choose Manchester Clinic for your facial uplift and rejuvenation, you are essentially opting for high quality treatment and comprehensive care. We believe in personalizing therapy options so that all our expert efforts are channelized to prepare you for a new and desirable appearance. Facelift can be achieved by using wrinkle smoothers, dermal fillers and lasers; typically it is a combination therapy by many measures. Our experts prefer two types of fillers; they are Radiesse® and Juvederm®. The objective of these two fillers is to fill in the lost volume of the cheeks and cover the wrinkles respectively. Our choice of these dermal fillers is because of their unique cosmetic properties that are consistent and also know for facilitating a natural look after the procedure is complete. Depending on our assessment of your skin type and properties, you may require facial peel which complements the dermal fillers too. Since your treatment is personalized, the primary aspect of the procedure is to identify the target areas on your facial region. You can also under a simultaneously lip enhancement along with the Liquid Face lift which is of course based on your preference as well as the discretion of the practitioner. There are certain cosmetic parameters that are to be satisfied before the therapy is initiated and once you attend the consultation session and the therapy plan is finalized, fine injections are given to launch the dermal fillers and wrinkle smoothers into your skin. These injections are given in small propositions with short intervals; however it is a continuous process. These cosmetic injections are different from the normal ones involving very fine needles. If you want to opt for a laser procedure, you may have to attend four to eight sessions. Liquid Facelift with dermal fillers being part of non surgical procedures has limited risks and therefore you may not experience a lot of post therapy complications. This reflects in the level of comfort with which you can prepare for the treatment and sail through the post therapy maintenance phase. There are few areas to be careful about when it comes to cosmetic facelift procedures. Though they are not surgical in nature, pain can’t be completely eliminated because the dermal fillers and wrinkle smoothers are injected on your facial skin. Because of the injections, you may experience swelling and redness around the treated spots. Depending on the nature of swelling, you may find relief within 12 hours to three days; you wouldn’t require special medication for the same. After the treatment, you are advised to refrain from saunas and sunbeds for a minimum of eight hours. You can experience the positive effect of the therapy immediately after the first treatment. The positive impact of the cosmetic facelift procedure would remain effective for up to 18 months; it may vary depending on your skin condition. Nu Cosmetic Clinic is recognized for its reputed cosmetic solutions and positive track record, our centers for cosmetic care and excellence are spread across the UK. We assure you the best of quality treatments and care from all our cosmetic centers that are comparable with the Manchester Clinic.